Because Koroit boulder opal should be surrounded by gold! 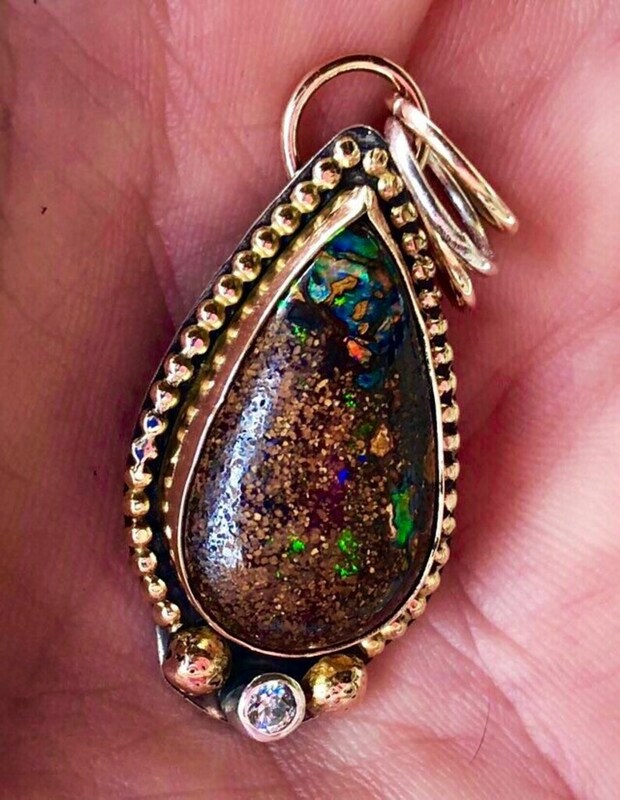 I chose solid 14k gold to compliment the deep brown sedimentary boulder speckled with flashes of yellow, pink, green, royal blue and even a little red and purple opal. This Koroit boulder opal comes from Queensland and absolutely mesmerizes me. I spent a lot of time creating this pendant necklace, as I wanted to make sure nothing was rushed. It is surrounded by solid 14k yellow gold bezel, which is framed in solid 14k yellow gold half bead. The bottom has two solid 14k yellow gold balls flanking a 3mm faceted Swarovski crystal, which is set in a handmade round silver bezel. The base is sterling silver. I think you'll like the loop that is attached, as it swirls with some flair on the back. Three soldered closed rings - 2 of yellow gold filled, 1 of sterling silver - hang the Koroit Boulder Opal pendant on your choice of 18" yellow gold (or gold filled) chain or black cord. I finished it with a black patina to blend the two tones of gold and silver seamlessly. 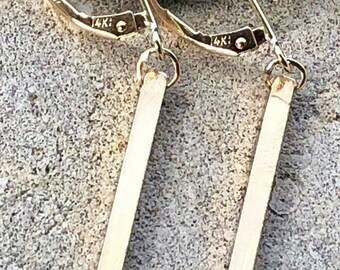 Makes a very special, eye catching piece to wear yourself or give as a gift. Remember that October's birthstone is opal and this handmade creation is certainly a one-of-a-kind necklace!